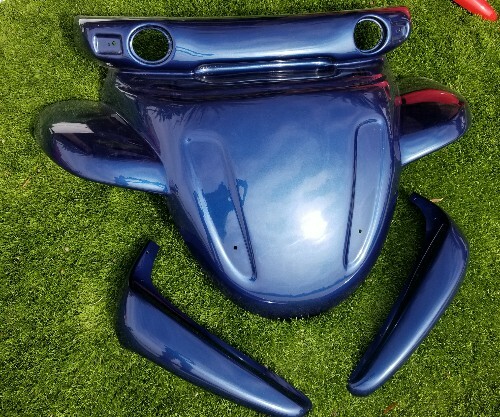 New high quality front hood with mud guards (left and right), painted blue. FITS: 1999-2004 (direct fit) and 2005-2012 (Need charger inlet hole drilled) . Flat shipping of $55.00 to continental u.s.